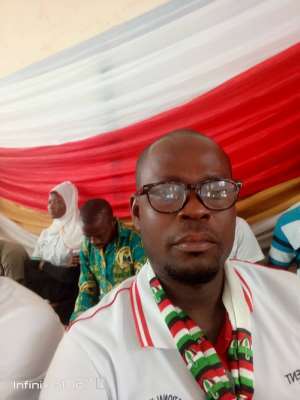 Following the cedi depreciation, the current TEIN NDC President of the University of Education Winneba, Asante Mampong campus has dropped a bombshell. At a general meeting with the TEIN NDC members and sympathisers on the Asante Mampong campus recently, the President in a statement indicated that TESCON of NPP now coiling like snails because of the incompetent and the ever-lying vice President's posture and antics". ...I wish they (TESCON NPP) could come out boldly and mention their economic management team to the listening of other students on campus but rather unfortunate that they are hiding in their various hostels and apartments because they don't understand why Bawumia who happens to be their economic godfather has been silent ", Mr. Frank Senyaglo further stated. In a meeting graced by the current deputy national TEIN-NDC Coordinator in the person of Mr. Solomon Ananpansah, the former national NUGS President, Frank Amoakohene as well as the Constituency Youth Organiser, Mr Yahaya Seidu, Frank Senyaglo urged the NDC on campus to be very bold and courageous towards party work and added that the NDC believes in rewarding hard work.